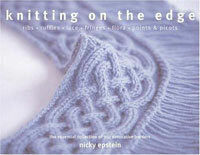 Nicky Epsteins gorgeous knitting books are more than books: they are testaments to how beautiful the simplest and most traditional techniques can be. With gorgeous Photography, great instructions, and a wealth of supporting reference material, this is one series you want to linger over, and never be without. 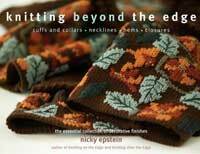 One of today’s hottest designers, Nicky Epstein has gained nationwide recognition for her distinctive and innovative work, whimsical sense of style and informative workshops. 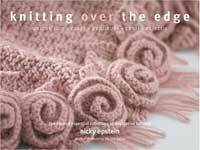 She has authored numerous books, including The Knit Hat Book, Knitted Embellishments, Knits for Barbie® Doll, Crochet for Barbie® Doll, Barbie® Doll and Me, Knitting on the Edge and Knitting Over the Edge. 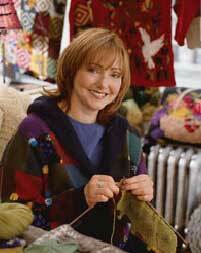 Her designs have been featured in many knitting publications, including Vogue Knitting, as well as on television and at art exhibitions. She lives in New York with her husband, Howard.